Includes the complete collection of all 50 Statehood Quarters in Brilliant Uncirculated Condition. 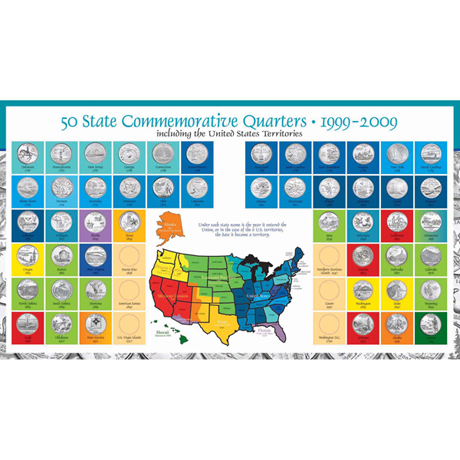 The Statehood Quarter series was minted from 1999-2008. The included full color album also has the open spaces to add the new 2009 Washington D.C. and Territories Quarters. Includes a Certificate of Authenticity. Allow 2-3 weeks, no rush delivery or gift box. Item can only be shipped within the Continental US.